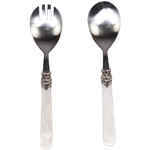 With this attractive salad server set Pearl by Chic Antique you can stylishly serve up the salad for your guests. The stainless steel of the salad spoon and fork is a nice contrast to the handles in a mother-of-pearl look. The good-looking 2-piece server set can be used on special occasions. It will cause, both at lunch and at dinner, pleasantly surprised looks by your guests and even the most boring salad will become a feast. Also in everyday life, the attractive set will find its way to the table again and again, because as the saying goes: the eyes eat first! 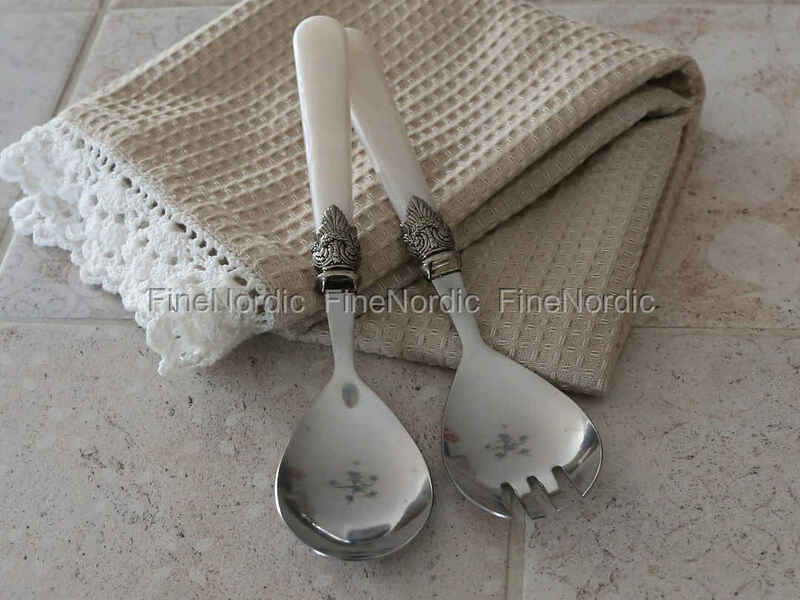 A handsome set of salad servers for the next celebration and for everyday use is the Chic Antique Salad Server Set Pearl.